Cat animal mask templates to print. Easy and fun to make and perfect for dress-up and animal costume parties, theatre fun, classroom activities and rainy days! 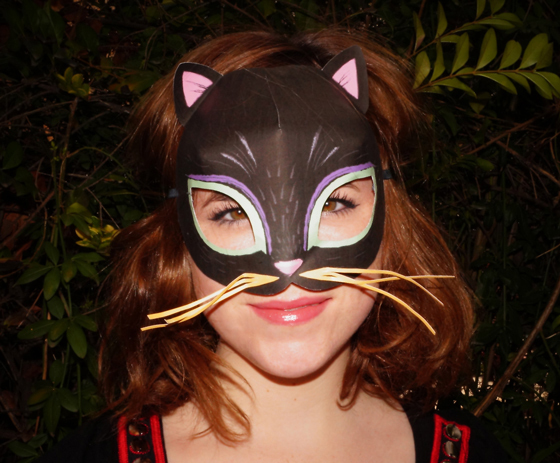 Printable cat mask template + video tutorial! 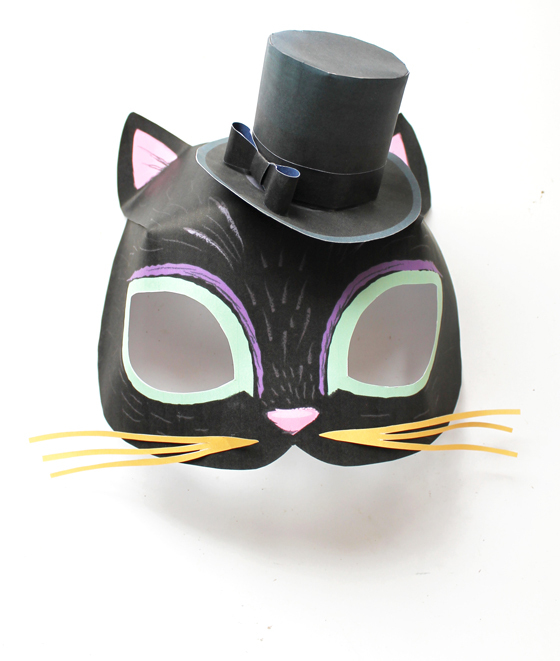 This cool cat mask also comes as a color-in version and with fun fact sheets. 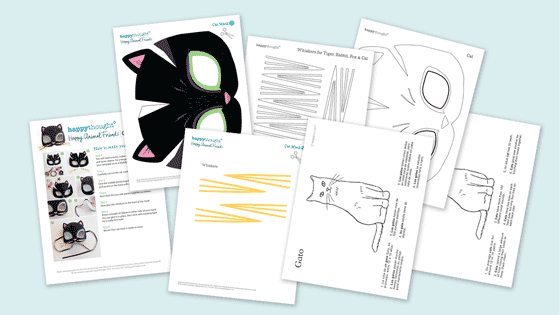 You can buy the easy to make cat mask templates and worksheets here. 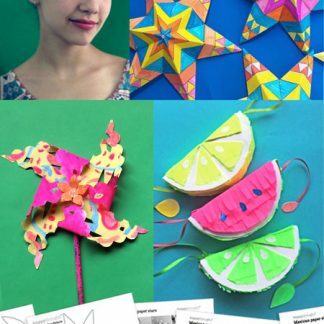 How to make your 3D paper cat mask: Easy no-sew patterns! How to make a paper cat mask! your template on to a slightly heavier stock paper. Carefully cut out the cat mask, whiskers and eye holes. and secure on the back with a little masking tape. Now glue the whiskers to the front of the mask. Attach a length of ribbon to either side of your mask. for a really firm hold. Meow! Your cat mask is ready to wear! 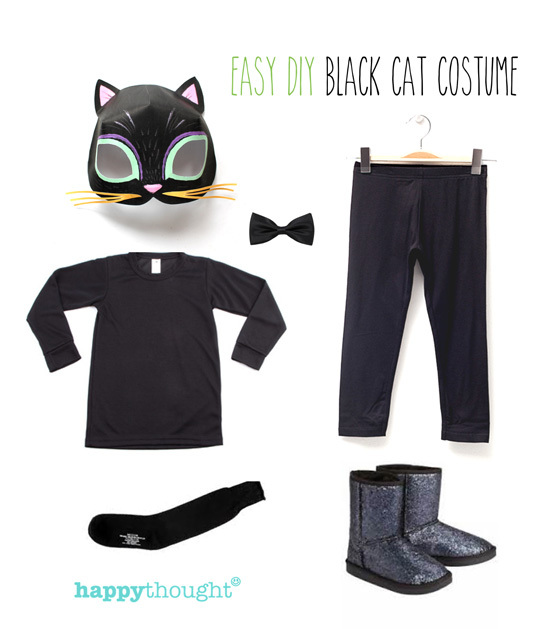 Easy black cat DIY costume! You can throw together a fab black cat costume in minutes, using these basics from your kid’s wardrobe. Put together a quick black cat costume using clothes at home! Keep it simple with a black tee, leggings, black boots and a black sock for the tail. Bow tie optional! Pin the tail on with a safety pin. You can stuff it with another sock tif you like! And of course top it off with your black cat mask! 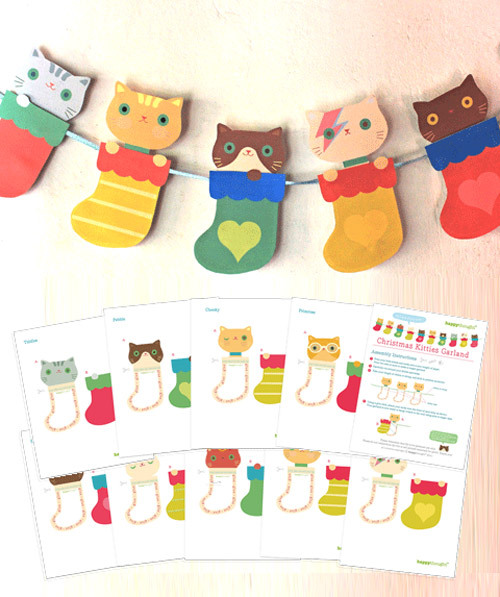 EASY DIY CAT MASK – Easy-make cute paper cat mask, templates and worksheets! Why not team your black cat with a black mini top hat? 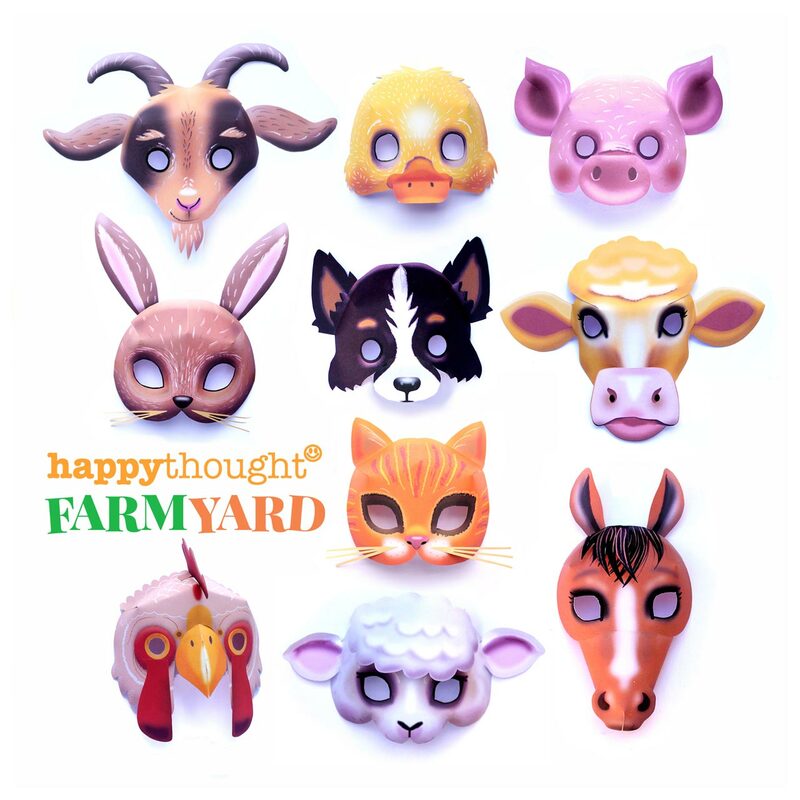 Part of the Happythought printable mini top hat set available in our store! Add a mini top hat to your mask! 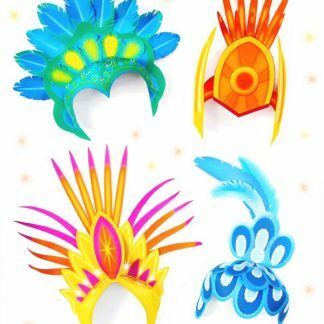 Animal mask templates to print: 10 mask templates to print and play. 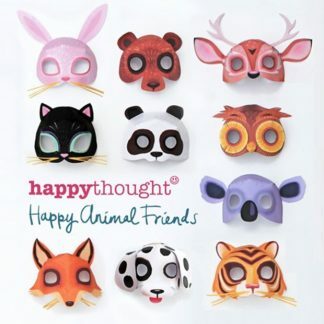 The pack includes a Bear, Panda, Cat, Dog, Owl, Tiger. Fox, Rabbit, Koala, and deer. 1. On average cats live for around 12 to 15 years. 2. Cats spend a large amount of time licking their coats to keep them clean. 3. Cats have more than 100 different vocal sounds. 4. An adult cat has 30 adult teeth. 5. Cats have five toes on each front paw, but only four toes on each back paw. 6. Cats greet one another by touching their noses together. 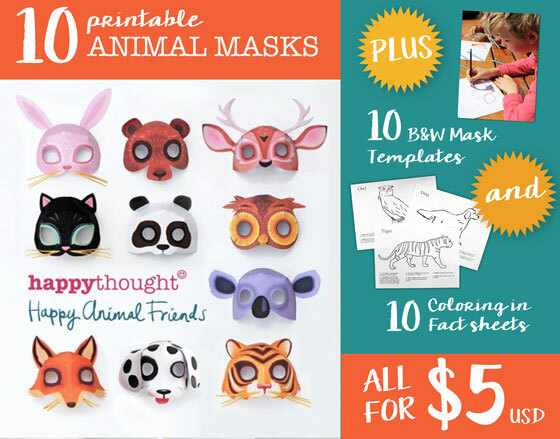 If you like these papercraft pdf mask templates, we think you will also like our wild animal mask set. 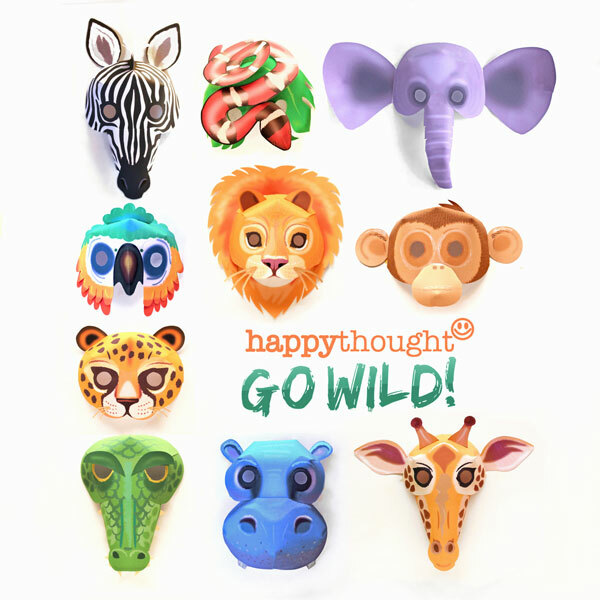 Go wild with our Elephant, Tiger, Giraffe, Snake, Zebra, Leopard, Crocodile, Lion, Hippo and Monkey masks to print out and make. 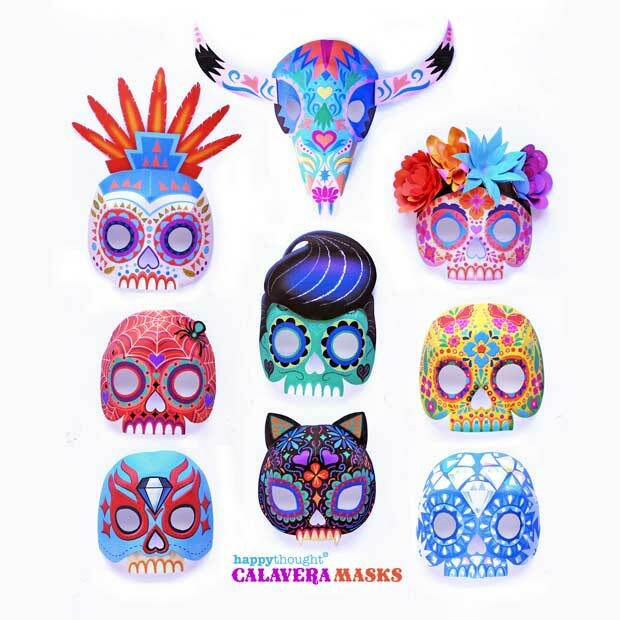 Cat are also featured in our Calavera or sugar skull mask set and our Halloween mask set featuring 10 scary but cute mask designs. Miaow! 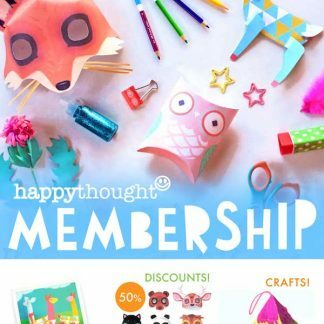 Part of our CraftClub freebies for Happythought’s members. See more here! 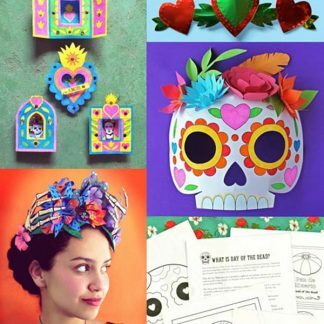 Another popular cat mask papercraft pdf templates is our el Dia de los Muertos cat calavera sugar skull mask. 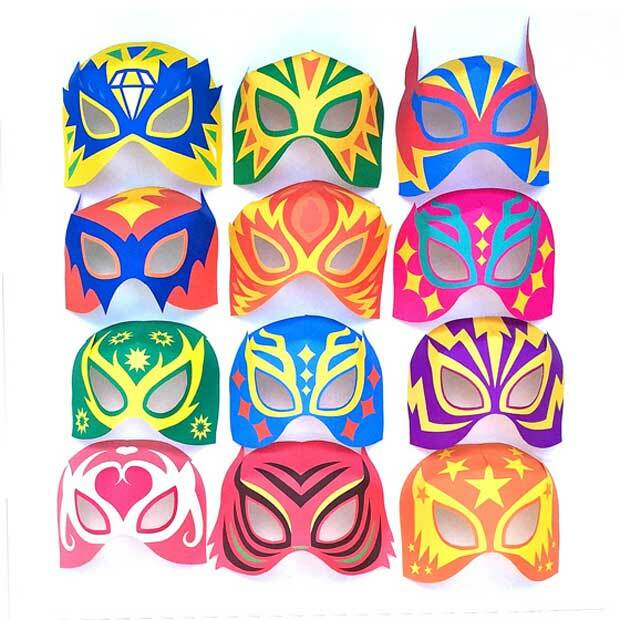 Lucha libre masks are also great for putting together a quick homemade costume using Happythought’s Lucha Libre mask set. We hope you enjoyed this DIY cat mask, color in sheet and 6 cat animal facts! Nice printable cat mask template for my daughters birthday party. I will print and cut them out. Then the kids can color them in, dress up and play ‘meow’ for the rest of the party! 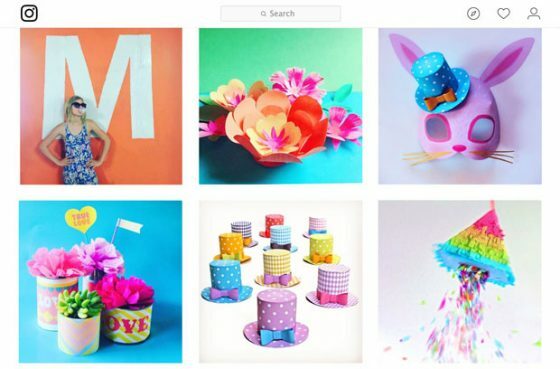 Great craft activity idea! I’m super excited to get this cat mask template for my students! Cute Cute Kitty! Love this free printable template. WOOP LOVE THIS ONE GOTTA WIN ONE!! Cats are amazing! I love dressing up as one with this cool cat mask template!! !